Quoted from Haijin's Magazine Sumaúma , with more haiku. Just a Bridge . . .
> point of poetic value of the book. > experts is superb . 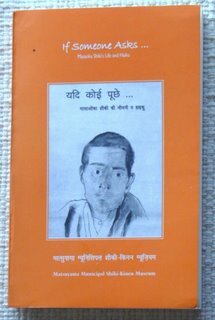 > know more about the life of the author.
. WKD : Contributions by Angelee Deodhar . Deodhar, Angelee, editor & translator. Indian Haiku. A bilingual anthology of Haiku by 105 Poets from India.